Announcing Our New Danish Instructor! We’re proud to announce our new Danish instructor, Philip Olsen who will begin in our Spring session! Born in Copenhagen, Denmark, Philip came to Canada to join his lovely wife and to make a fresh start of his life. He worked as a teacher specialising in Danish as a second language, special needs and math with primarily people with autism. He enjoys discussing politics, biking as transportation (like a true Dane would!) and playing sports, specifically soccer. His enthusiasm for sports made him venture into owning his own sports betting company, BetBuzz, where he is Co-Founder and CEO. With his knowledge and patience as a teacher, he is sure to make the Danish course an enriching and fulfilling experience! 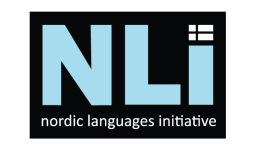 REGISTRATION FOR DANISH and other Nordic languages coming very soon!